Bob Roberts talks about ice fishing in Kansas and how to be safe and what is safe ice. Kansas lakes provide limited ice fishing most years and most only freeze in limited areas. Ponds may be dangerous due to their springs. 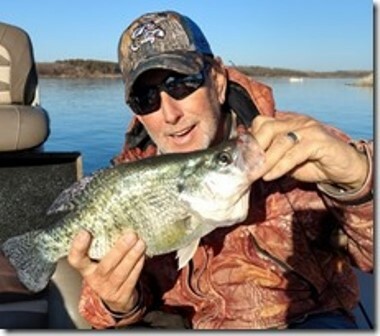 For open water fishing, many anglers head to Oklahoma for some good Crappie fishing.